Ever since the inception of P R S Hospital in 1986, the General Medicine cases were looked after by Dr. A. L. Sarma as a part time Consultant. 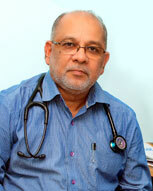 Full fledged medical unit was started in March, 1987 under Dr. Josemon Thomas. 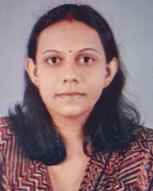 This was followed by a second unit under Dr. D. S. Mohan in 1989. 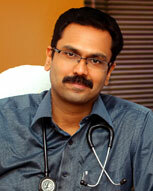 Later, four Consult-ants and four other units were started under Dr. Murukesan, Dr. Pavithran, Dr. Rajesh and Dr. Deepu. Now all the six units are working independently. 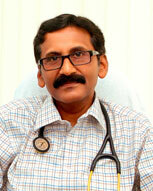 Before starting individual specialities; Dr. D. S. Mohan was looking after cardiac cases and managing ICCU. 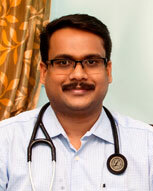 Upper and lower GI endoscopies, both diagnostic and therapeutic, were first started in 1992 under medical and surgical units, manned by Dr. Josemon Thomas, Dr. Krishnan Nair and Dr. Ilango. Apart from attending OP (average 300 patients/day) and IP (average 50 patients/day), medical units lend supportive care to the patients in other specialities. Emergency calls are attended by consultants and / or their junior staff both in the ER and wards. 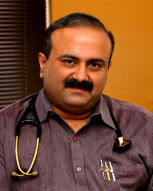 Full fledged diabetic care, preventive and therapeutic, are a part of the medical department. Of late, we have started continuous glucose monitoring. We are planning to start implementation of insulin pump treatment. Annual diabetic camps and diabetic foot camps are being conducted. Monthly clinical clubs, journal clubs with active participation of consultants and junior doctors are a part of general medical curriculum. The functioning of the department's consultants are amply supported by well informed , hard working juniors and casualty medical officers.